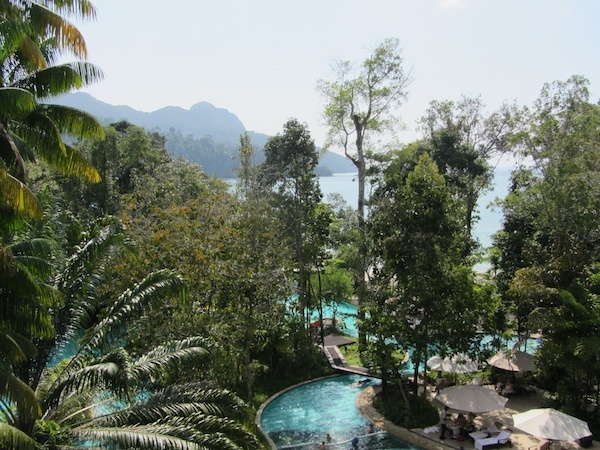 We were hanging out at The Andaman, our favourite luxury hotel on the island of Langkawi off northern Malaysia, and we needed to get to Kuala Lumpur in the south. Since we we had just come off the Trans-Siberian through Russia, Mongolia and China, we decided to continue by surface transport instead of flying. 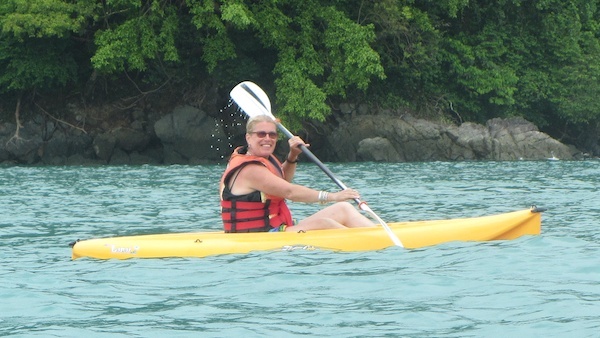 But first, several days of luxury at the wonderful Andaman, always our home from home when we pass through this region. Tempted to have a cocktail? Our friend Kim had flown in from Thailand, and we whiled away the time swimming in the balmy sea, paddling kayaks around Datai island, eating perfectly prepared cuisine and drinking far too many cocktails and bottles of wine. Bliss. One interesting feature of Datai Bay is the remains of the fringing reef, which was smashed in a storm some years ago. The broken pieces all washed up in the shallows near to the beach, and each piece settled down to become a mini-reef of its own. There are staff whose job it is to wade out into the debris every day, collecting specimens and putting them in an artificial reef behind the hotel. This acts as a breeding ground and hatchery, with the ultimate intention of rebuilding the original fringing reef. 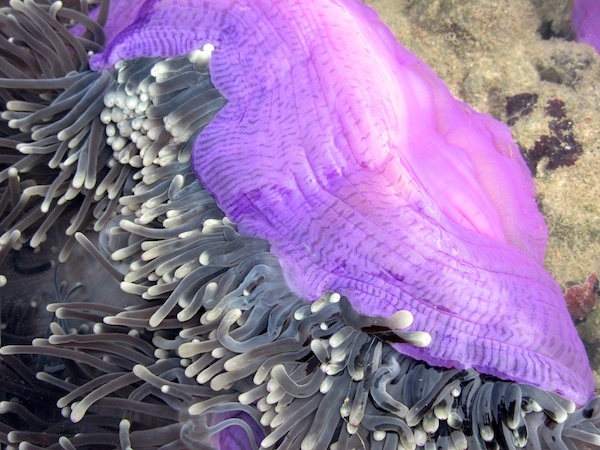 In the meantime, if you are careful you can wade out at low tide and see reef life that you would normally not see without diving gear. 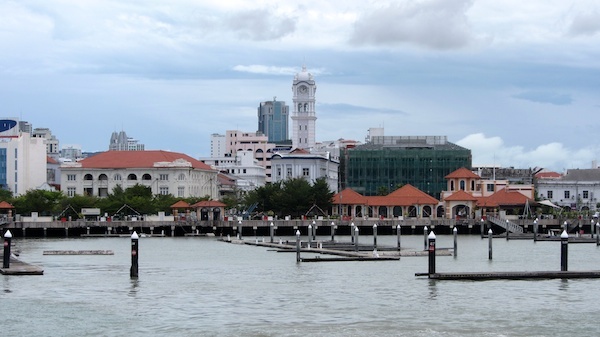 Eventually we had to to return to real life, so we dropped Kim at the airport and headed down to the quay for the first leg of our journey, the ferry to Georgetown on the island of Penang. We waited in the terminal and watched the approaching front of a gathering rain storm. As the heavens opened, our gate opened, and the terminal degenerated into semi-organised mayhem. The 300 or so of us who were lucky enough to have boarding passes pushed down the cramped gangway, stacking our luggage in a pile at the front of the cabin, and crammed into our plastic-clad seats. Outside in the fog we could see a queue of other ferries being pummelled by the waves as they waited for us to clear the dock. The crew hurled more and more packages aboard as still more passengers arrived, screaming into their mobile phones. Even as we cast off and pulled away, a steady stream of new arrivals were still leaping aboard, stevedores flinging their luggage unceremoniously onto the roof of the cabin. We’d noticed previously that the forward end of both passenger decks were protected by rows of welded steel plates, and we soon found out why. As we hit the rolling swell, the bow buried itself deep into the quartering sea. The pilot did a great job of zig-zagging to try to give us a more pleasant ride, but inevitably on each turn we were pushed back under water. 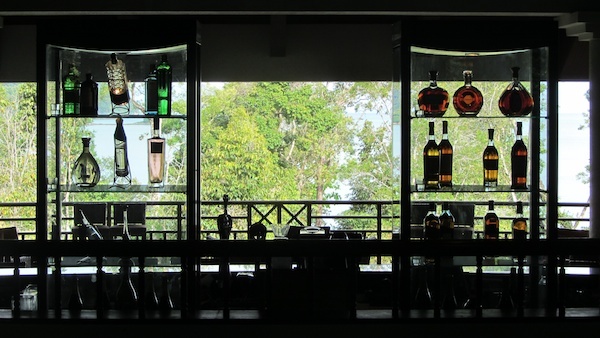 After three and a half hours of corkscrew progress, we disembarked into warm rain and humped our packs up to our favourite Georgetown hotel, the Yeng Keng. Since our last visit they’d built a cafe on one side of the courtyard, and – damp and hungry – we snuck in five minutes before closing and scoffed a very satisfying Malaysian meal washed down with white wine. After a good sleep and an enormous breakfast (two complete servings of Nasi Lemak, and why not? ), we headed out into the stunning heat and humidity for the short walk back to Georgetown jetty. 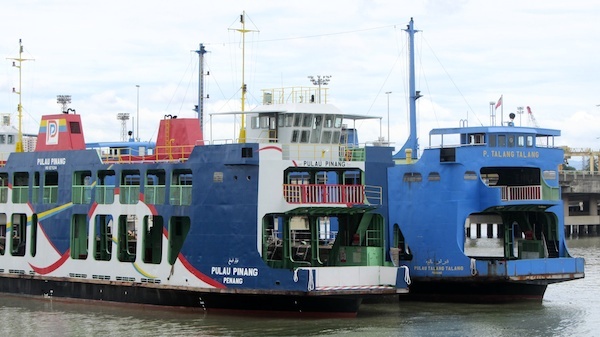 We were had been on the car ferry to Butterworth before, and it is pleasant to stand in the open structure of the car deck and feel the warm wind on your face as it makes the short and scenic journey across to the Malay Peninsula. It’s even nicer because, in this direction, travel is free. We had already purchased first class rail tickets from Butterworth to Kuala Lumpur, so we ambled unhurriedly in the direction of the rail terminal. The station turned out to be closed for redevelopment, and we were redirected to a temporary structure which was largely closed. After a little searching, we found a small courtyard bar, which was also closed. However, the ceiling fans were running over the battered trestle tables, and there was a snack stall so we settled in to wait with some cans of soft drink. There were a couple of cafes fronting the courtyard, both firmly closed with rolling shutters. While we sat there, the owner of one of them arrived and cracked open his shutter, pouring a tray of food in front of the gap. A whole family of cats and kittens emerged and began to eat, presumably this was his answer to any possible rodent problem in his stores. Some local kids came and sat nearby, complaining to each other about their parents’ backward attitudes, and how they wouldn’t allow their children to get ahead. It was intriguing, but we never found out what they were talking about because it was time to head back to the temporary station, which had just opened. It was full of disgruntled passengers who had been told that the daily train to Bangkok had been cancelled and had been replaced by a bus service. Frankly I wouldn’t have complained, as we gathered that the reason that the service had been cancelled was that it had been derailed. Boarding our own train, we found ourselves in one of those rather tired and battered carriages which are typical in Malaysia. Travelling first class just means that you get an assigned seat, and a pretty girl who brings you water and a piece of cake when you board. However, our seats were at the front of the carriage with copious leg room, and thankfully the flat screen TV did not seem to be working. This was fantastic news because usually they run a loud and endless loop of irritating advertising jingles. We settled back to enjoy the ride as we travelled the entire length of the Malay peninsula. The windows were actually too dirty to see through, but by scrunching down in doorways I could get a reasonable view of this beautiful, fertile, and above all jungle country. Arriving finally in Kuala Lumpur, we immediately headed out for food, and were once again stunned by the Malaysian attention to cuisine. 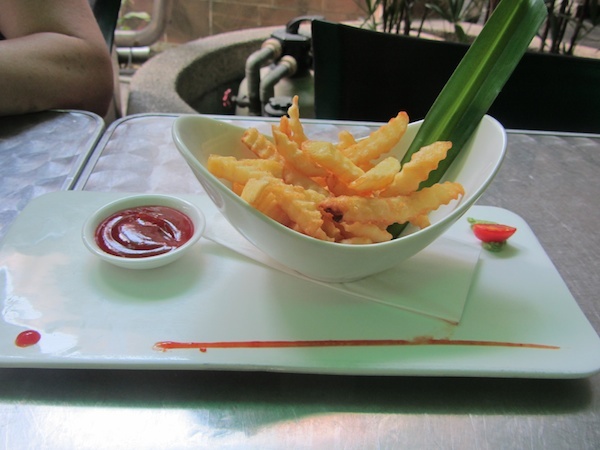 A simple bowl of chips is a thing of beauty, and once you settle down to a good fish dish, you’ll never come up for air. A simple bowl of chips at a roadside bar. Beautiful. 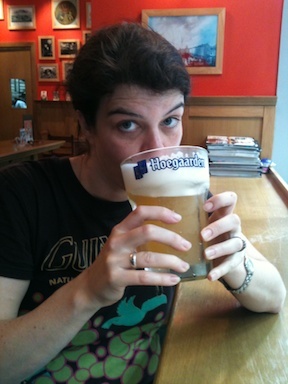 Suitably refreshed, we finished our trip at our favourite KL bar, the Hap Seng Belgian Beer Cafe. It’s not overwhelmingly beautiful and there isn’t much to see apart from passing traffic, but the stools are comfortable, the staff are attentive and the beer is perfect. What more could you ask for? This entry was posted in Asia, Malaysia, Travel and tagged Train on 2012/08/23 by Reinhard.